There’s nothing more terrifying than when animals attack: That’s the premise of some of our favorite films, how puny mankind is when faced with the forces of nature, run amok! Here are some of the scariest movie animals. 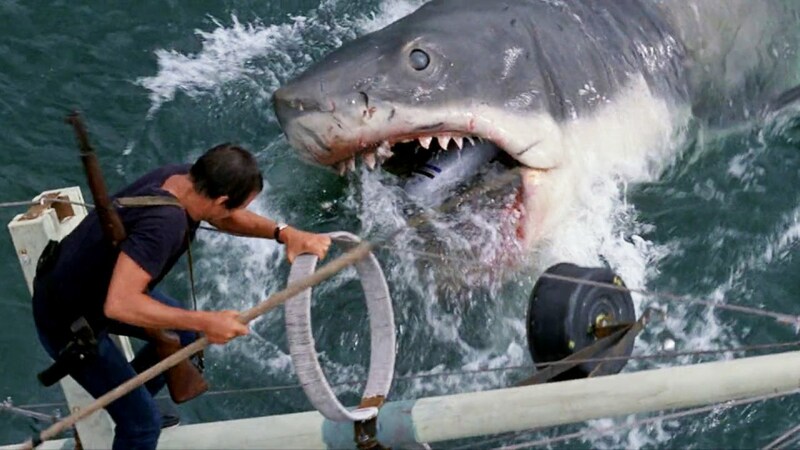 A whole generation of people refused to ever go to the beach again after seeing Steven Spielberg’s blockbuster, based on the bestseller by Peter Benchley. The suspense builds with little glimpse of the man-eating shark until the final showdown with Roy Scheider. 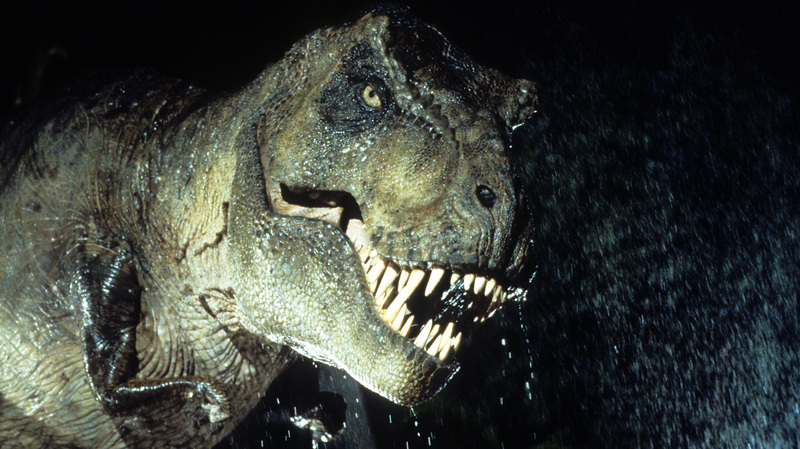 Talk about primal terror: When this T-Rex walks, the very ground quakes. At least if he snatches you up in his jaws, it’s likely to be a quick death. Why are birds suddenly attacking humans? It’s never explained in Alfred Hitchock’s 1963 thriller (based on the Daphne du Mauirer novel), which makes the attacks all the more terrifying. 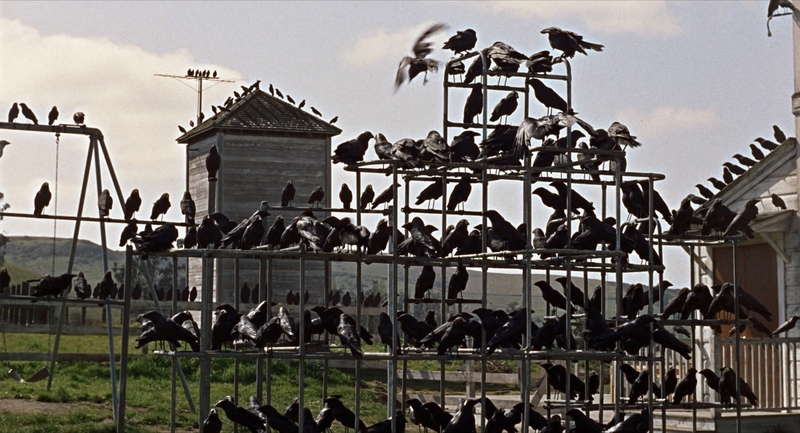 Admit it: Every time you see a flock of birds gathering on a school playground, you think of this movie. 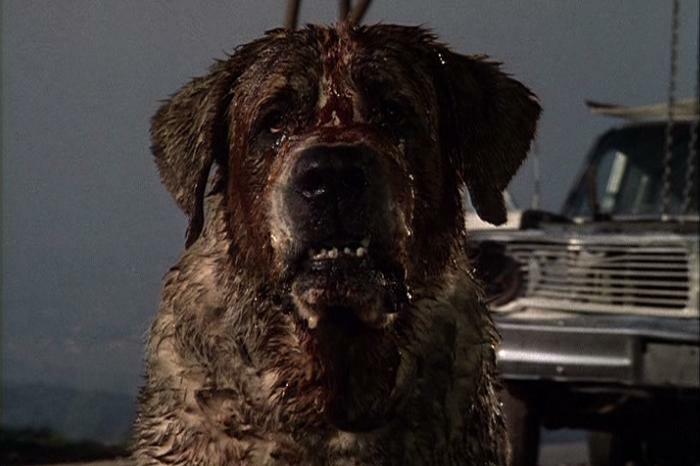 A St. Bernard named Cujo gets bitten by a rabid bat and terrorizes a mother (Dee Wallace) and her young son who are trapped in their broken-down car in this ’80s horror film, based on the Stephen King novel. It’s a horrifying ordeal that may make you keep your distance from the usually lovable breed. 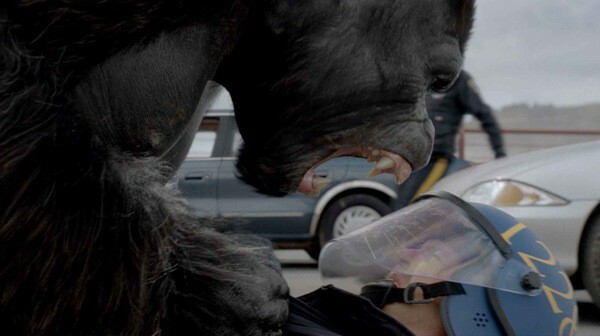 When the mistreated apes and gorillas break free from their cages in “Rise of the Planet of the Apes,” pity any human who gets in their way. In a heart-stopping showdown on the San Francisco Golden Gate Bridge, gorillas confront hopelessly outmatched riot police and — in one of the film’s most iconic moments — a gorilla leaps into an airborne helicopter and takes it down. Game over for the humans. In the 1976 horror classic “The Omen,” Gregory Peck and David Warner visit an old Italian cemetery to determine the truth about Peck’s adopted son, Damien. While there, they are attacked by six vicious Rottweilers, the same breed that just showed up as Damien’s protector. If you saw this as a kid and it gave you a lifelong fear of Rotteweilers, well, that’s perfectly understandable.